Social media marketing is the process of utilizing social media sites to promote a brand or product; it is currently the fasting-growing form of advertising. The prevalence of social media in the lives of consumers makes it an indispensable tool for the business that is willing to take the necessary steps to ensure success in their social marketing endeavors. 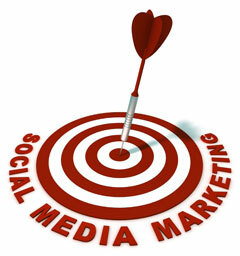 A successful social media campaign involves researching the target audience to determine which social media avenues are worth pursuing, developing a targeted marketing plan with clear goals in mind, remaining constantly involved in the rapidly-changing social media marketing process, and measuring the success and effectiveness of the campaign. A social media marketing strategy needs to take place concurrently in a variety of online settings. Social networking, blogging and tweeting, bookmarking and sharing relevant content including multimedia, and publishing user-generated content are all ways in which advertisers can promote their brand or product to a target audience. Each type of marketing avenue has its advantages and disadvantages and must be thoroughly researched to determine the most relevant and effective platforms for the individual advertiser. Measurement in the social media marketing realm is often referred to as ROI or return on investment, but this measurement can more accurately be referred to as ROC, or return on conversation. The advent of online social networking and the familiarity that social media holds for Internet users makes it an ideal avenue for marketing to consumers. Platforms like Facebook and Twitter make it easy to reach groups of people who are already interested in a particular brand or product, and who in turn will promote it to their contacts by way of simple conversation. Social media scheduling software such as Buffer enable social media marketers to schedule their posts conveniently. Social media marketing software such as Spredfast and Sprout Social provide relatively accurate methods to monitor the effectiveness of a marketing strategy among certain demographics. Social media has made it possible for businesses to directly engage with the consumer, reaching larger numbers of people in a way that is less invasive and falls more seamlessly into the context of everyday social interactions, making it a winning exchange for both the advertiser and the consumer.